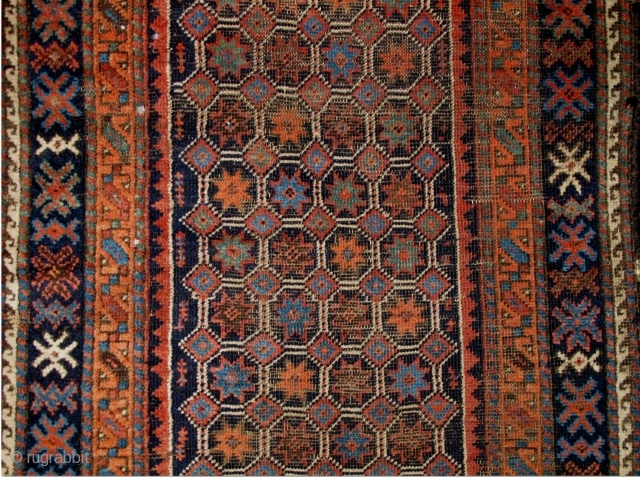 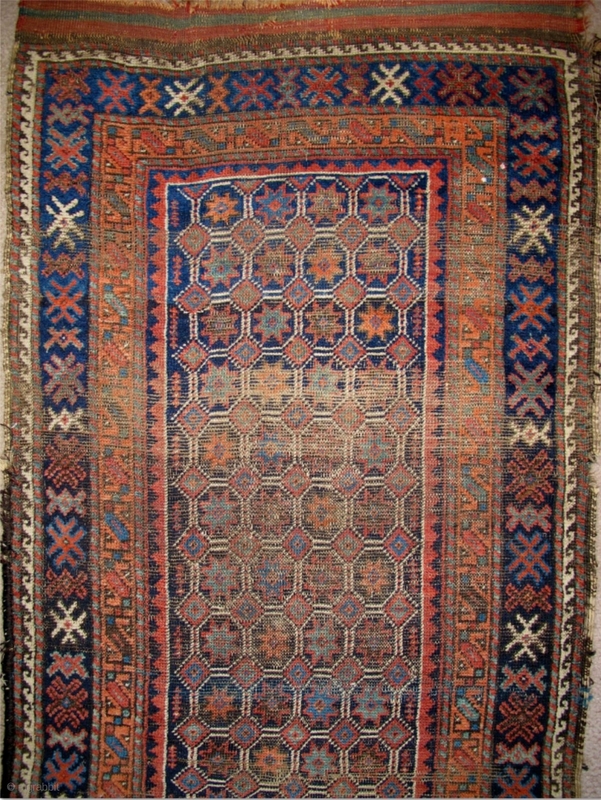 Baluch Runner, great natural colors, woven like a giant long bagface with a repeat mosaic like pattern of eight-pointed stars in a lattice. "Arab" type, open right, with corroded deep indigo almost black ground. 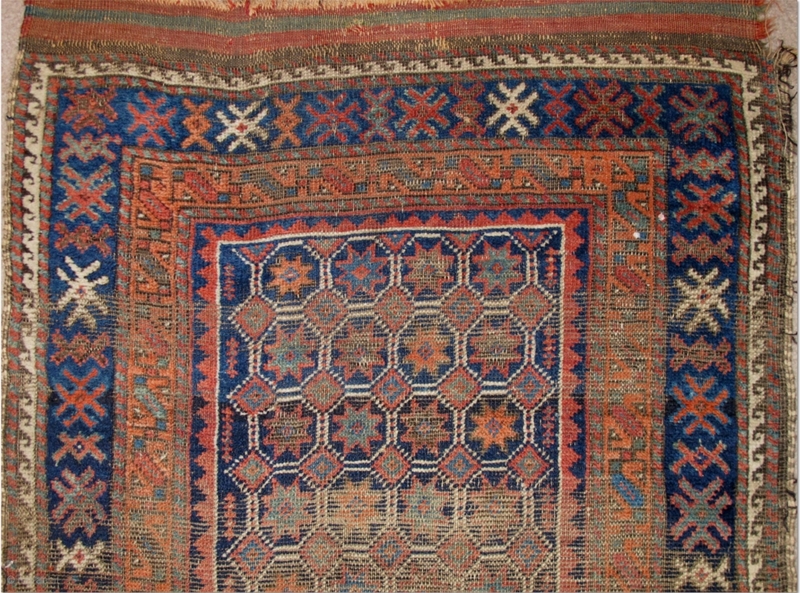 Lots of highlighting with polychromatic blue. 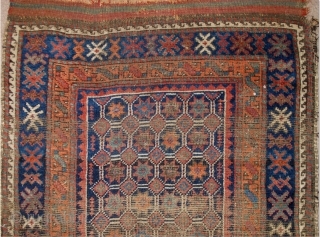 Goat hair selvedges and kilim ends. 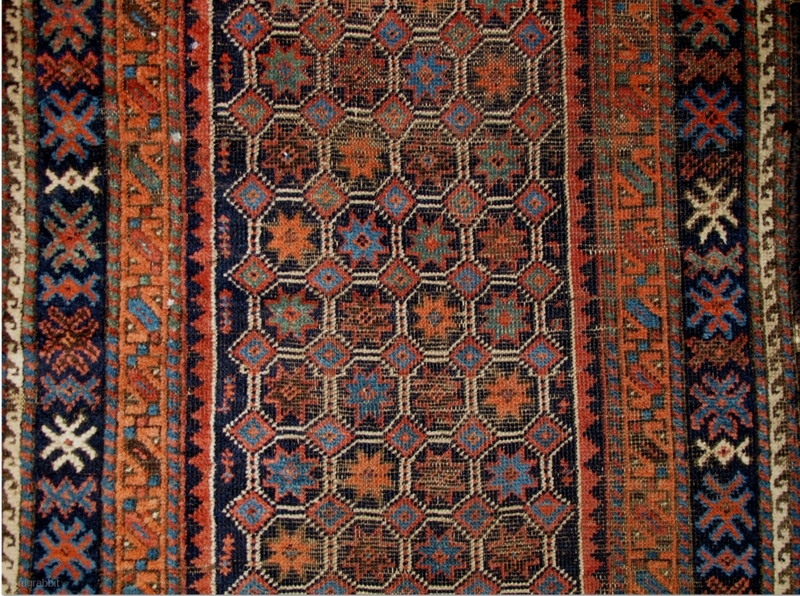 This is a Baluch from Basha's collection.